I love the way Harry writes: fresh, with a lot of energy and soul. 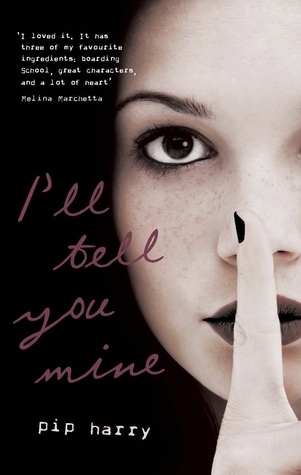 Her teen voice (and teen characters) felt so authentic and the story rang true. It also features boarding schools and mother/daughter relationships -- which are definite draw cards for me. I found myself liking Kate a lot more as the book went on (at the beginning she was a lot for me to take in. I am not normally drawn to darker/more edgy work, or girls acting out. But this book was so much more than that -- and I really felt Harry did an incredible job with Kate's character arc and with nailing the intensity of teenage feelings and relationships). I also found that the second half of the book was unputdownable -- by then I was very much drawn into Kate's world and wanted everything to work out okay for her <3 I love how the plot took me places I did not anticipate. Pip Harry has a fantastic voice for YA and I'm looking forward to reading more of Harry's work (Hopefully there will be another book soon!). Wow. 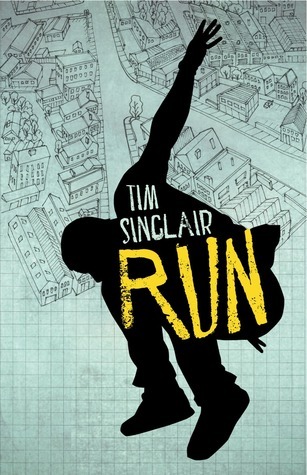 Tim Sinclair's debut verse novel on parkour is really something else. For starters, it's everything I like my verse novels to be: that delicious exploration of words and rhythm (not rhyme) and experimentation in typography variation. It's a visual masterpiece with so many pages set out in a unique and arresting format. Truly stunning, the pages are an artwork. There's an energy to the writing that drives it forward, at the same time, the words are put together so carefully that you have to stop and let the moment linger, before pushing ahead for more. I can honestly say I have never read a book like it: the subject (so much action and thrills and paranoia and also this whole underground world I had no idea about). It's exhilarating and vivid -- I found myself being tempted by parkour, (haha, I can't even walk down stairs without tripping over imaginary cracks). I loved the Sydney setting and the relationships and the adrenalin in this book. Finely crafted, Sinclair breathes so much life into this book. I have seen not a lot about Run out there and I truly hope it gets the attention it deserves. PLUS: This book trailer is incredibly watch-able and well done. Title links go to goodreads - add these! I recommend them all (I gave all of them 4 stars). I continue to be impressed by the quality and diversity of Aussie YA novels. So much goodness out there. Hope your day is going super swell! Gah Nomes! I can't keep up with all these books! Stop making them sound so freaking amazing! 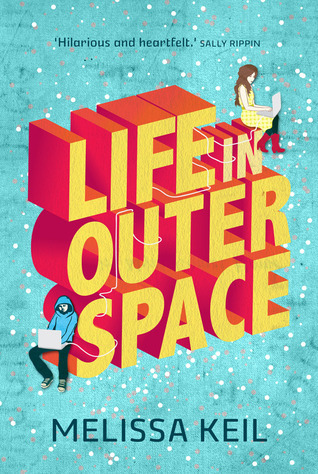 I so want to read Life in Outer Space, you made it sounds so good!! I really want to read Life in Outer Space, it sounds so fun! I'll Tell You Mine sounds like such a good read. And Life in Outer Space seems like a fun one, that cover is so cute. I don't think I've ever read a book about parkour, just saw a TV segment about it the other day. I need to read more verse novels, I feel like they're easy to get into but they pack quite a punch.